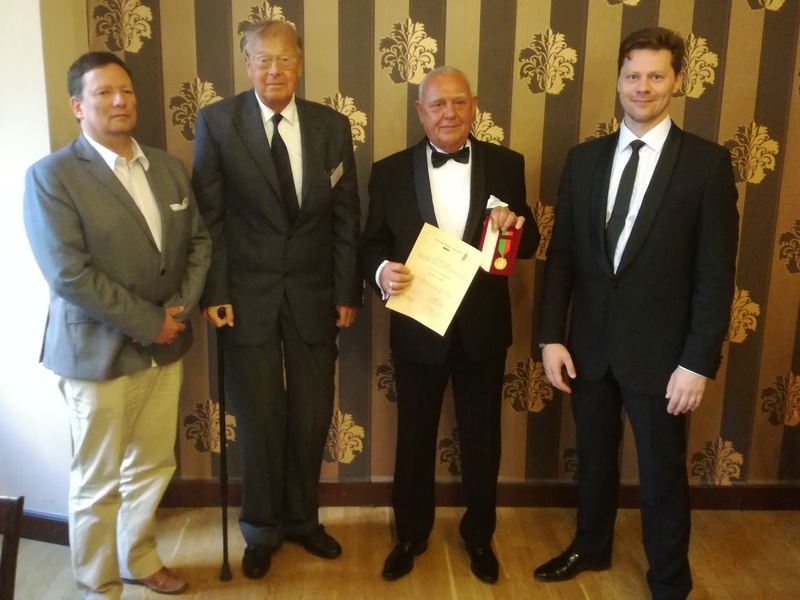 The Willenberg Foundation was established in 2013 by the group of enthusiasts working at the Department of Building technologies from the Faculty of Civil Engineering of the CTU Prague under lead of the Prof. Vladimir Křistek. Since then, the Willenberg Foundation has worked towards propagation of the research in the field of the Building Sustainability and Building Security, support of education and training programmes. Named after the first Building Proffesor in the Central Europe, founder of the Prague Technical University and military engineer Christian Josef Willenberg (1676 - 1731). © Copyright 2013-2018 Willenberg Foundation. All rights reserved. Cristian Josef Willenberg Medal is a registered trademark. No part of the site may be copied, republished, stored in a data search and retrieval system, reproduced or transmitted, in any form or by any means, without the prior written authorisation of the Willenberg Foundation. Family name, given name, full address, telephone and/or fax number and email address. Institution, organisation, commercial company, museum or private individual. Private use (no distribution), school work, group event, exhibition or production/broadcast. The International Conference on Durability of Critical Infrastructure. 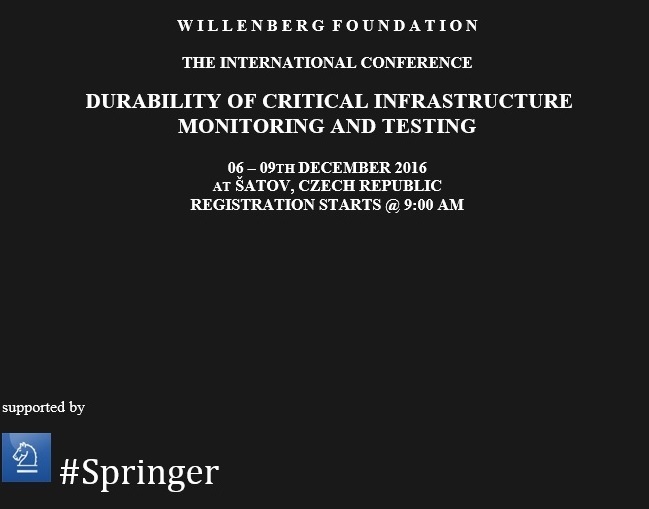 Monitoring and Testing - ICDCF 2016 provides a forum for the presentation and discussion of the most recent developments in the theoretical and practical aspects in the fields of Safety, Sustainability and Durability of the Critical Infrastructure, which brings together professionals from the engineering and scientific fields.